Before New Horizons captured the first-ever detailed images of Pluto this month, it had traveled for nine-and-a-half years to reach the edge of our Solar System. When that spacecraft launched from Cape Canaveral Air Force Station, Fla. on January 19, 2006, Pluto was still classified as a planet. 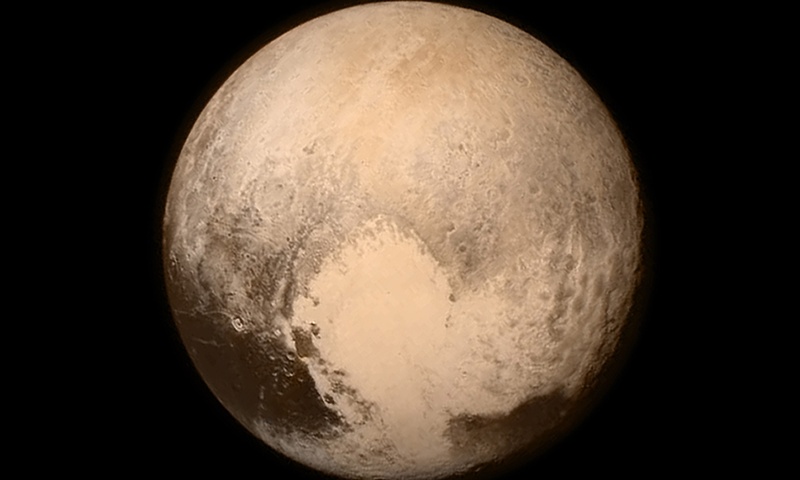 Pluto discovered—Clyde Tombaugh, working at the Lowell Observatory in Arizona, discovered Pluto February 18, 1930. But the first such object, albiet smaller than Pluto, had been discovered more than a century earlier. Ceres discovered—A Catholic priest, Giuseppe Piazzi, who held a PhD in mathematics, was also an astronomer. His catalog of almost 7,000 stars earned him the L’Institut de France prize for “best astronomical work published in 1803” (Barr). On January 1, 1801, while working on his catalog, he discovered an object whose changes in position were more like those of a planet than a star. “Piazzi had found the first [and the largest] of many thousands of ‘asteroids’ or ‘minor planets’ whose orbits lie mainly in a belt between Mars and Jupiter” (Barr). Eris discovered—The next such discovery, after that of Pluto, came more than two centuries later, on October 21, 2003. This sphere, at the Solar System’s limit and orbiting the Sun, was larger than Pluto and had its own moon (Pluto has five known moons). This find begged the question: If Pluto is a planet, how could this larger globe, Eris, not also be considered a planet? Haumea discovered—Its discovery was officially announced in 2005. Makemake discovered—The International Astronomical Union officially recognized Makemake as a dwarf planet in 2008. 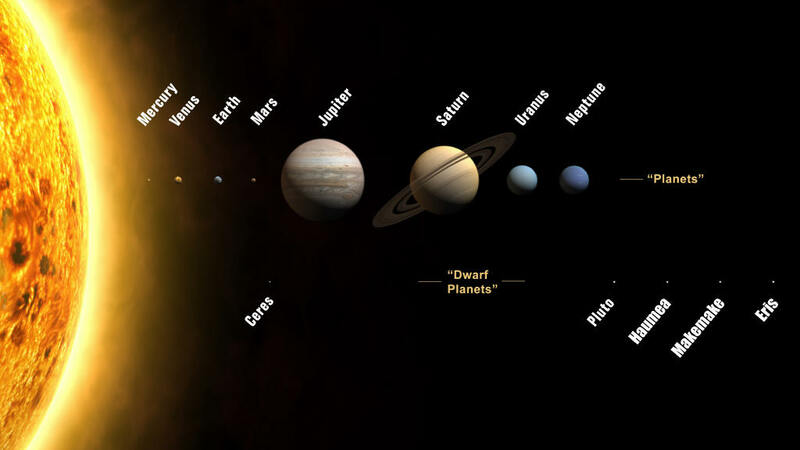 “Planet” (re)defined— At the International Astronomical Union (IAU) General Assembly in Prague, 2006, astronomers “debated vigorously” over the definition of “planet.” They established a definition that would classify Ceres, Pluto, Eris, Makemake and Haumea as “dwarf planets,” leaving our Solar System with eight planets. 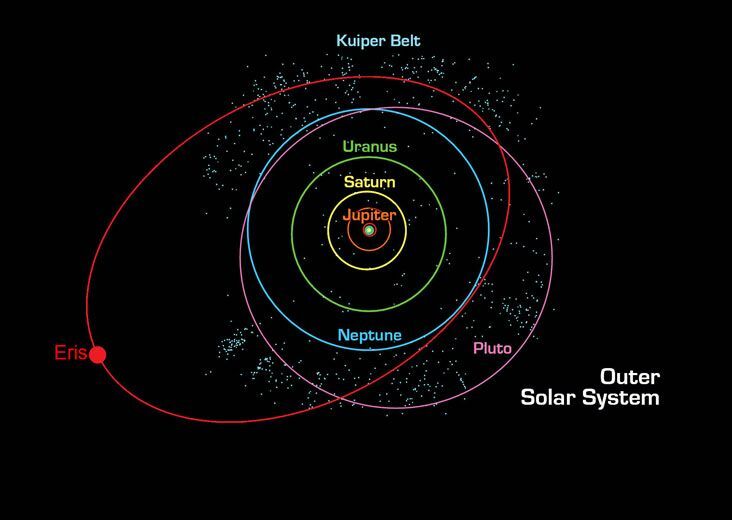 Why, then, is Pluto the second dwarf planet to be seen at close range in 2015? Dawn makes history—Earlier this year, another space probe reached another dwarf planet, capturing detailed images and, this time, discovering a mystery. 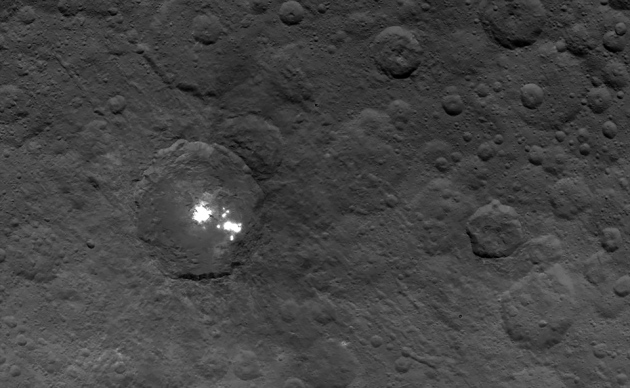 NASA’s Dawn space-probe entered into orbit around Ceres March 6, 2015, becoming “the first mission to achieve orbit around a dwarf planet.” Dawn’s photos revealed “a cluster of mysterious bright spots” on Ceres’ surface, which have intrigued scientists. Father Giuseppe Piazzi would undoubtedly be pleased that his discovery has generated such interest more than two centuries after he identified it. ……..Persistent Myth.” Wall Street Journal, Eastern edition ed.